Bedales of Borough is an exploratory wine bar space, with three locations at Borough Market, Spitalfields Market and Leadenhall Market. Whether the seasoned tippler or novice glugger, entering to seek out a drinking experience, or stumbling upon it spurred by spontaneity, our guests leave having discovered a world of wine beyond what they would have previously anticipated. With a bespoke touch, our events program hosts public and private tastings where we aim to build a community of wine enthusiasts while fostering curiosity for a lifetime of wine appreciation. We are always on the look out for wine curious & food loving individuals to join our team! We aim to start all staff members with their WSET education path within the first six months of joining the company, no matter the position. We are a growing company, and an ideal candidate will be interested in growing their career with us! See a few selected employee case studies below & fill out the form below to apply! "My food and wine career started in New York City where I represented wineries as a brand ambassador at tastings and events in NYC and as a hospitality consultant for several winery tasting rooms. I decided to study artisan cheese to bolster my wine work, and landed an apprenticeship in the affinage facility of the famed Murray’s Cheese in Greenwich Village. I obtained my Level-2 and Level-3 WSET certification in Wine & Spirits. My dual-proficiency makes me uniquely qualified to enhance events and tastings, showcasing the many correlations between the two products, and their brilliance when combined. The wine & cheese industries offer countless opportunities to delve into so many different disciplines – the geography and geology of where it comes from; the chemistry of how it’s made; and the history of who and why - to just name a few. I find myself continuously fascinated. It’s a big wide world of wine out there and I humbly aim to learn (or at least taste) something new every day. It’s that curiosity and enthusiasm that I share with my guests every time I teach. I could not be more excited to share my passion with the London community here at Bedales Wines as a wine and cheese specialist – and I’m right at the heart of it all – Borough Market. Yes, I am very spoiled!" "I joined the company 3 years ago as an intern whilst studying in Burgundy. I worked with Bedales for 3 months at the Flagship site in Borough Market, it was a great way to see London and all it has to offer, in the heart of the famous Borough market meeting people from all over the world and most importantly being able to work with wine which has always been a passion of mine. At the end of my internship my hard work paid off an I was offered a job! From then I worked at the newly refurbished site in Spitalfields market. We are a small team, but Bedales is one big family and I was soon promoted to supervisor. With Bedales I was given the opportunity to take my WSET 3 exam and frequently meet with students from my school who are eager to move into the same industry. Today I am a proud Assistant Manager of the Spitalfields site and an active member of the Wine specialist team holding tastings and spreading my knowledge….and my French sense of humour." "When I moved to London 4 years ago from sunny Manchester, this Northerner landed a job slinging lobster rolls on the Southbank for BOB’s Lobster (sister concept to Bedales of Borough). It’s safe to say my first summer with the company was eventful! Foam lobster claws, selfie taking tourists and Lobster and Bubbles… I was hooked! I moved on to become Supervisor at Bedales of Borough, the team there really helped me expand my wine knowledge and I sat WSET Levels 1,2 & 3! Never before have I worked with such a company who quickly became like family, with guidance from management I’m now the manager of the Spitalfields branch and created a team of my own. My passion is to empower and support people as Bedales have with me. As the company expands, learns and grows I created a new department - Human Resources. Bedales gives you growth, support, education, lots of laughs and life long friends……I’m sold!" 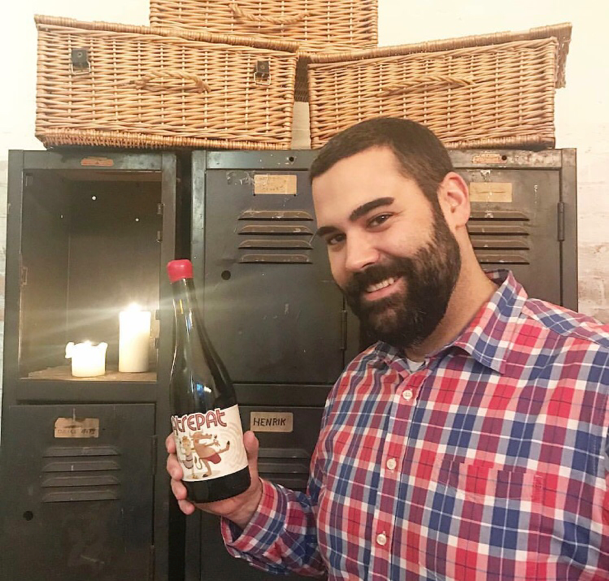 "I visited Bedales of Borough Market for the first time whilst passing through London as a tourist, and I remember being in awe of the wine selection, the high ceilings, and the friendly greeting I received on entry. Little did I know that a few years later, I would have the opportunity to join the dynamic wine team and drive an exciting wine program across the three branches. I started back in June of 2014, and after 6 months, I took the daunting step to tackle my WSET Diploma with the support of Bedales. It turned out to be some of the most challenging 18 months of my life. I graduated with Merit, and if nothing else, it made me seriously reconsider my previous ambitions to tackle the elusive MW qualification. Bedales has gone through a phenomenal transformation in the time I have been with them. Being a member of such a small, intimate team means that you always feel like your input is relevant and considered. We are constantly evolving and reinventing our products and offerings, whilst staying true to our brand ethos and goals. In time, my role with the company has also and taken on a new shape. Today, as Wine Manager, my responsibilities include the tasks of continuing to grow our amazing wine education program, keeping our wine lists dynamic and ever interesting, and driving enthusiasm for wine into not only my colleagues, but also our loyal customers. It’s been a helluva journey with an amazing team, and one I am incredibly excited about being apart of in the future."